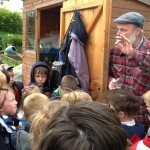 All children from St George’s Primary made a visit to Ollersett Allotments on Thursday 21st May 2015. 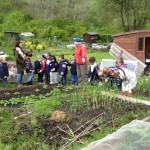 Infants visited in 2 groups in the morning and Juniors in 2 groups in the afternoon. 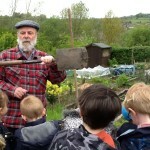 As well as looking around at the different allotment plots some of the plotholders talked to the pupils about tools that we use, different crops that we grow and how we manage the site. 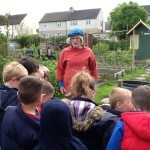 Many thanks to Jen Dale and Chris Moore who made star appearances displaying their lovely (and very productive) plots.